Big data analytics are disrupting industries everywhere, but health care is especially feeling the seismic shift in technology. Health care is an industry ripe for disruption. While health care overall is a highly polarizing topic, the services provided by the industry are essential. The industry also spans a number of different applications, like pharmaceuticals, insurance, primary care and emergency services, just to name a few. With increased diversity comes increased complexity, which is why industry leaders are turning to innovative technology solutions to help them next-level their operations and the service they provide. While technology is an essential part of delivering care to patients, it’s important to understand how technology can help change the way the industry operates. 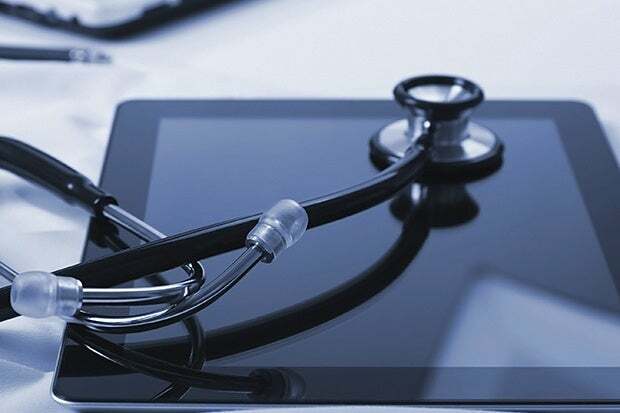 Technologies like artificial intelligence, big data analytics, and mobile solutions are all making waves in helping to improve the efforts of health care companies, while opening up new sources of data for the industry. There is a seemingly infinite amount of data in the life sciences, health care, and pharma industries. In most cases that data is located in disparate sources, making it difficult to access for industry professionals. Innoplexus is deploying sophisticated artificial intelligence and machine learning in the life sciences to help, as they put it, “crawl, aggregate, analyze, and visualize” that data. Their product iPlexus is designed to help increase access to otherwise unattainable insights, and is used for applications as varied as increasing the speed of drug development, assessing the potential performance of a new drug, to accurately forecasting the performance of HCPs. As a result, they frequently partner with leaders in pharma research and development, health care providers, and researchers to help improve the services they deliver. They are a part of a growing movement in the life sciences using AI to improve the state of the industry. Ginger.io is one of many companies working to use the prevalence of smartphone data to deliver patient insights and care. Starting at the MIT Media Lab, Ginger.io offers customized care for people engaging with mental illnesses. They gather data from users to deliver insights to care providers that in turn can result in improved and more bespoke care solutions. They also use a mobile platform to deliver care from experienced health care professionals. While they are using big data in a new way, they aren’t the only mobile solution for mental health. Apps like TalkSpace, CodeBlue and Lantern are a few notable examples that all offer mental health services through mobile technology. In many cases, patient risk factors go unmonitored, which can result in critical deterioration of a patient’s condition, ICU admissions, and other costly situations. By leveraging the peer-reviewed Rothman Index and unique data sets, PeraHealth is working with health care providers to identify at-risk patients before complications occur, which can drastically reduce the cost of care while increasing the level of service practitioners can deliver. Their systems allow hospitals to better assess whether or not a patient needs ICU care, and can optimize overall ICU operations. They can also recognize when patients are at risk for complications like sepsis, through the use of proprietary data sets. As more is learned about what leads to different complications, it’s likely that more technologies like this will emerge to help doctors prevent conditions before they have the chance to develop. HIPAA guidelines are pretty clear about the importance of patient privacy. Unfortunately, the rise of digital health solutions has complicated the sharing of patient information for health care professionals. A number of stories came out this summer about Doctors sending HIPAA protected information over Snapchat. Information needs to be shared on secure networks to protect patient information, but many of these networks are outdated and don’t meet the needs of industry professionals looking to leverage digital tools to improve care. That’s why Imprivata works with health care organizations to come up with secure digital solutions that don’t put patients data at-risk. They offer single sign-on solutions to help prevent costly data breaches, and they have a proprietary patient identification system that leverages biometric data to improve patient information security. Anyone who has been to the doctor recently has probably seen some sort of verbal pain chart that is designed to help patients verbalize what and how they are feeling. The trouble is, verbal data like this rarely gives medical professionals a complete picture of the patient experience. If you’ve seen Pixar’s Big Hero 6, you may remember the friendly health care robot Beymax scanning people to assess their health and mood. At the time the idea seemed far-fetched, but companies like BeyondVerbal are beginning to do just that. By using existing data on verbal intonation to identify how a patient is feeling, beyond whatever they are communicating verbally. Their technology takes what users say, or write, and translates it into insights on how they really feel. Kevin Rands is founder of Disruptor Daily, an online publication dedicated to all-things disruption. He is CEO and founder of Online Health Networks for the past 17 years and previously worked at DataQuick as a project manager.